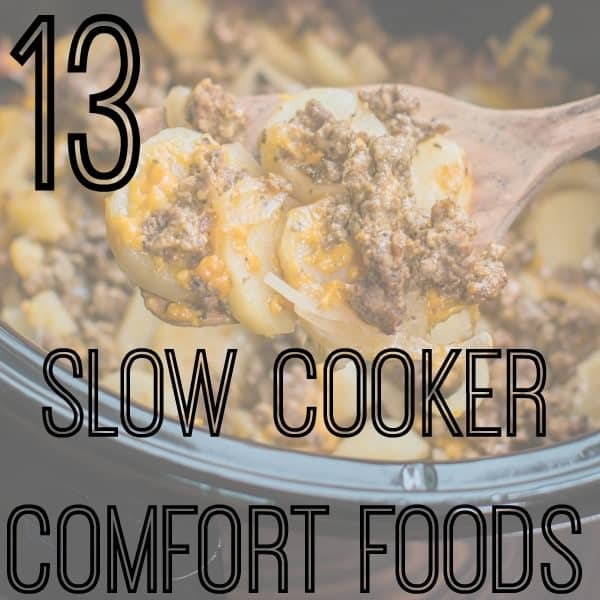 13 Slow Cooker Comfort Food Recipes! 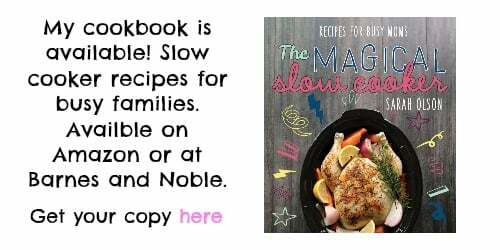 Almost 2 weeks worth of recipes here for you to try. What makes something comfort food? 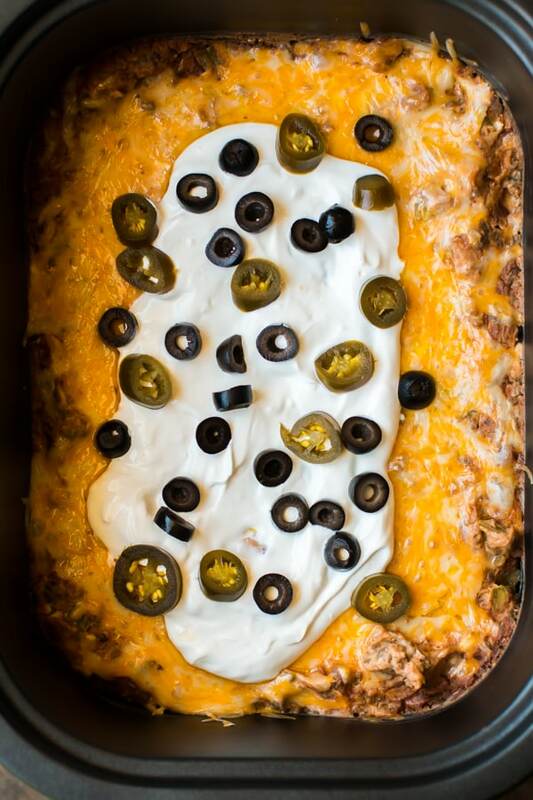 To me it’s a recipe without any restrictions, bring on the carbs and calories, I want them all. 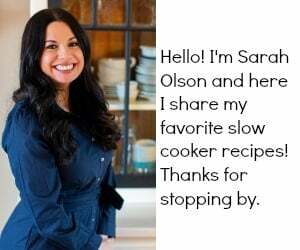 I’ve gathered my favorite slow cooker comfort food recipe below for you. I hope you find a few to try! 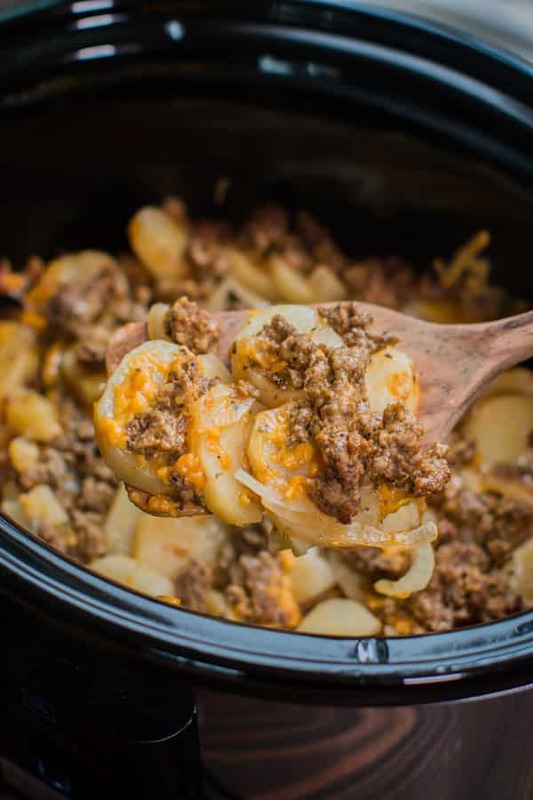 Slow Cooker Beef and Potato Au Gratin – Beef, potatoes and cheese. This may be a man’s meal, but I would like to eat it everyday myself. 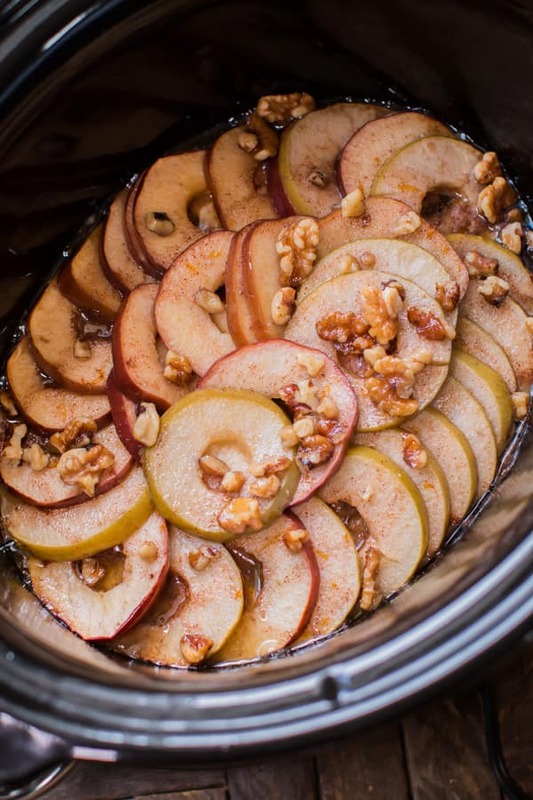 Slow Cooker Scalloped Apples – This is an updated recipe for baked apples. Since the apples are sliced the butter and sugar coat more surface area on these sliced apples. 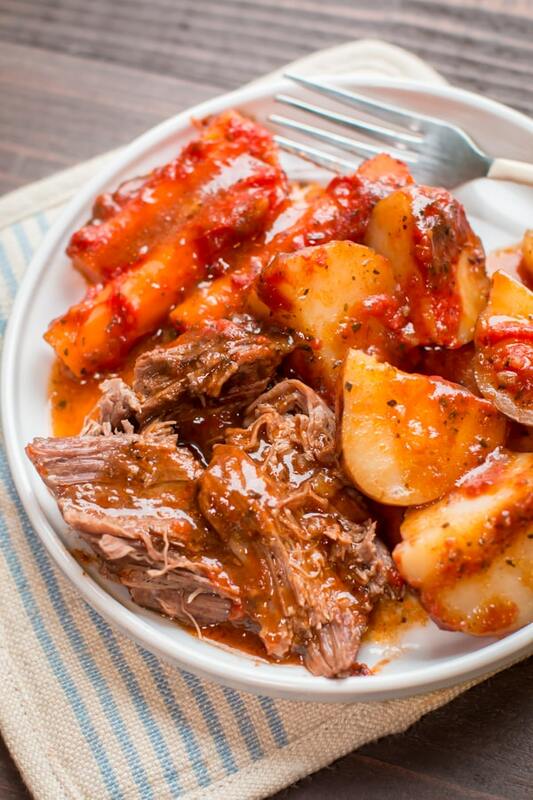 Slow Cooker Italian Beef Dinner – This pot roast dinner is taken up a notch with Italian flavors, this meal and a dinner roll is life. 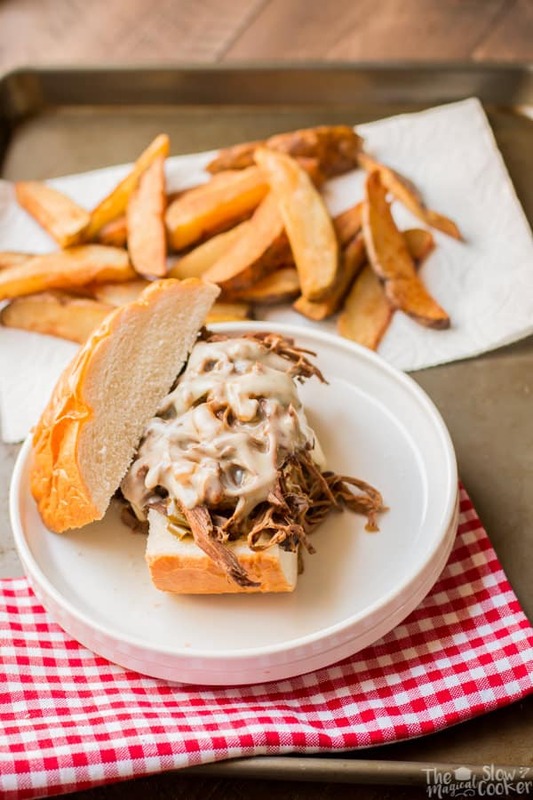 Slow Cooker Philly Cheese Steaks – This is a great recipe for cooking all day while your away at work. Dinner is easy to throw together with some hoagie rolls and cheese. 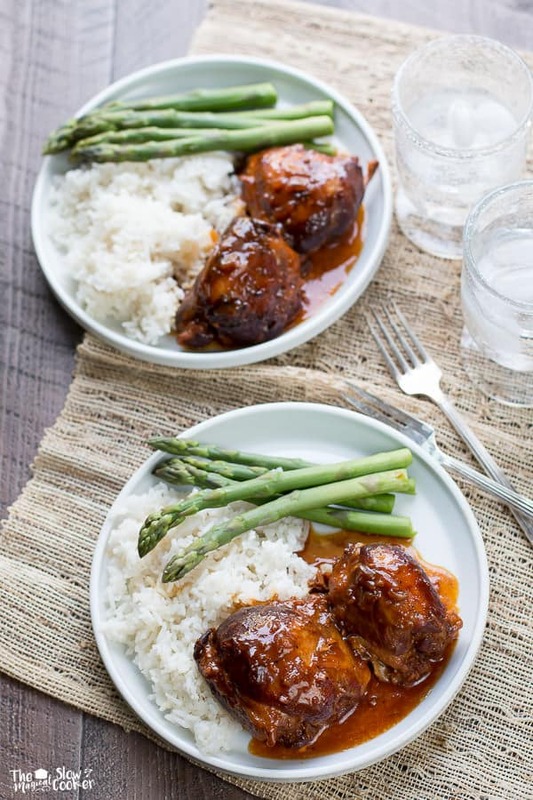 Slow Cooker Apricot Chicken – Sweet and savory chicken thighs that are great served with rice. 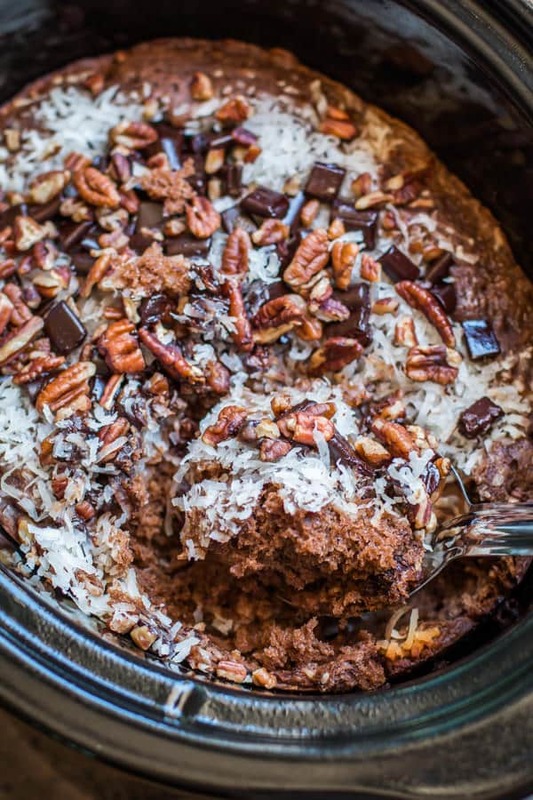 Slow Cooker German Chocolate Spoon Cake – This German chocolate cake is served warmed with ice cream. 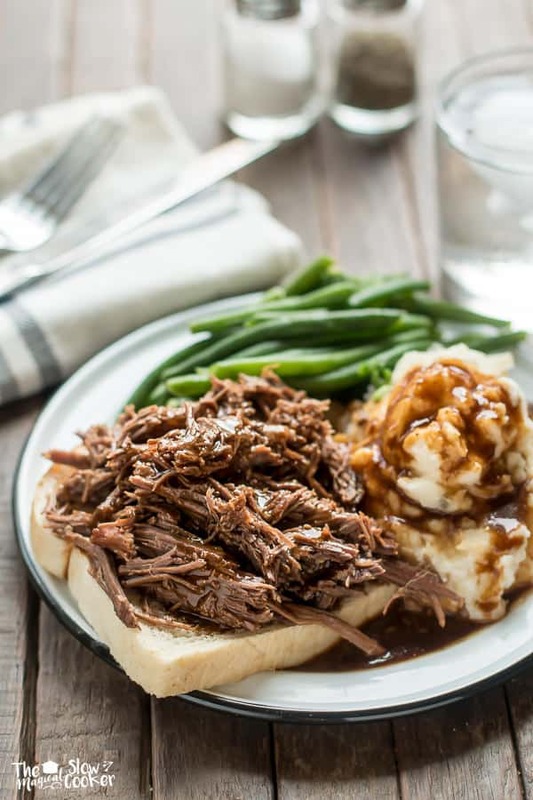 Slow Cooker Hot Roast Beef Sandwiches – This meal screams diner blue plate special. Serve this meat and gravy over mashed potatoes and sourdough bread. 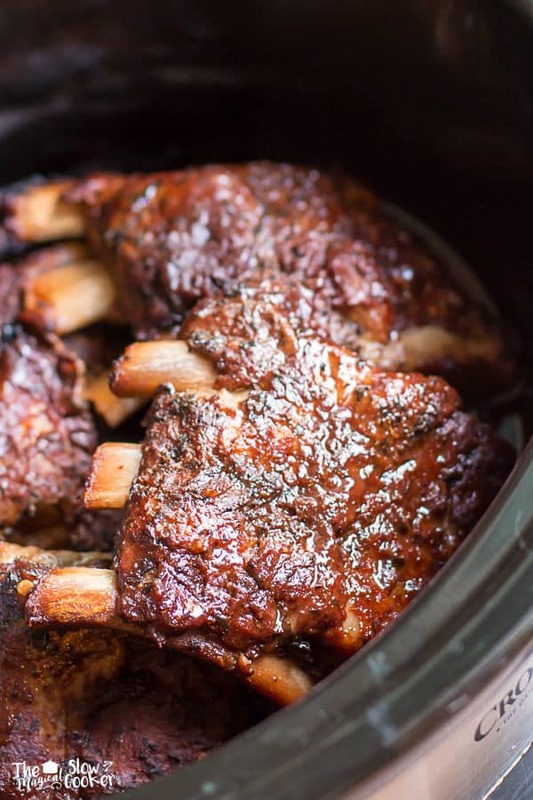 Slow Cooker Cajun Style Ribs – Did you know ribs do great in the slow cooker? They turn out fall off the bone good! 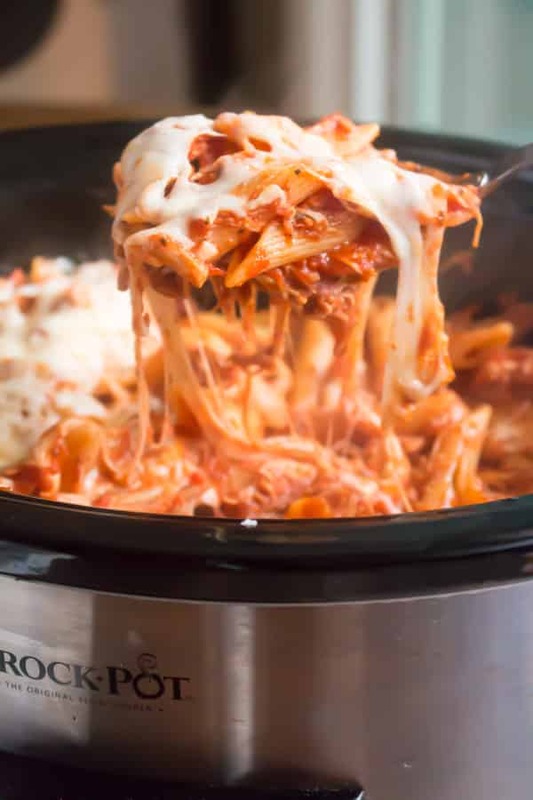 Slow Cooker Chicken Parmesan and Pasta – The chicken and sauce cook all-day then pasta and cheese are added to make a decadent casserole. 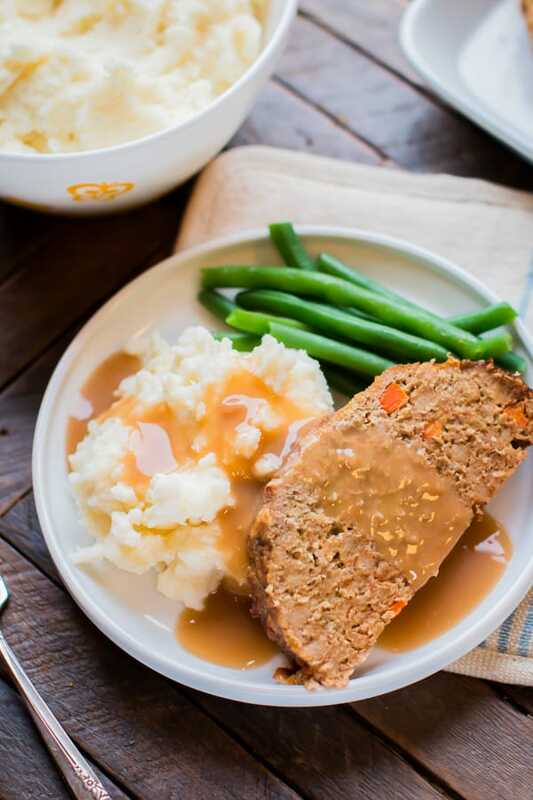 Slow Cooker Stove Top Stuffing Turkey Meat Loaf – A unique way to get all the flavors of Thanksgiving! 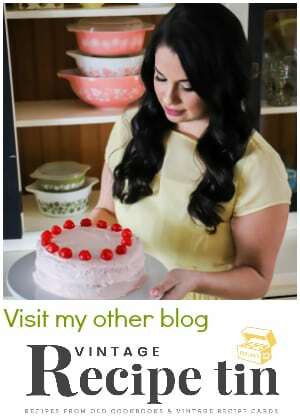 If you are meatloaf lover, this is a must try recipe. 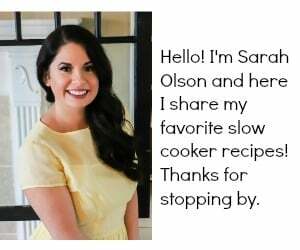 Slow Cooker Texas Trash Beef and Bean Dip – Game day food right here, though many comments on this recipe have said it makes a great dinner anytime! 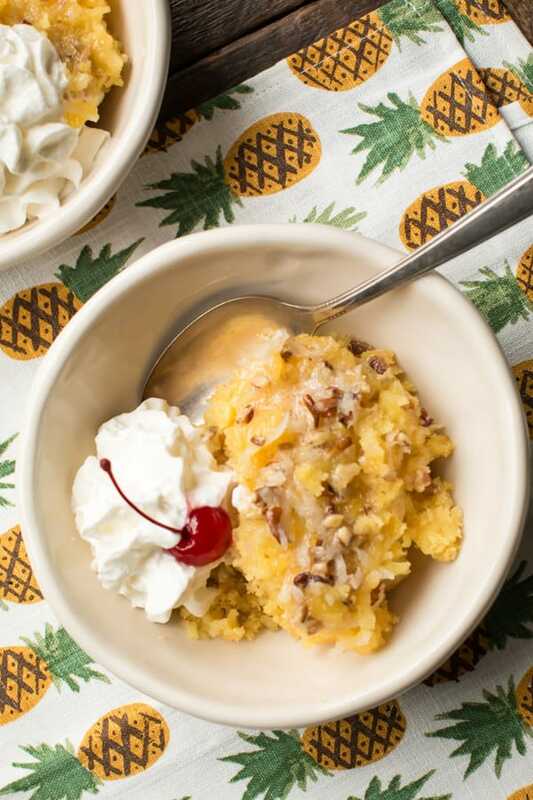 Slow Cooker Pineapple Coconut Spoon Cake – Have you ever had pineapple fluff? That is what this cake tastes like. Heaven in a bowl. 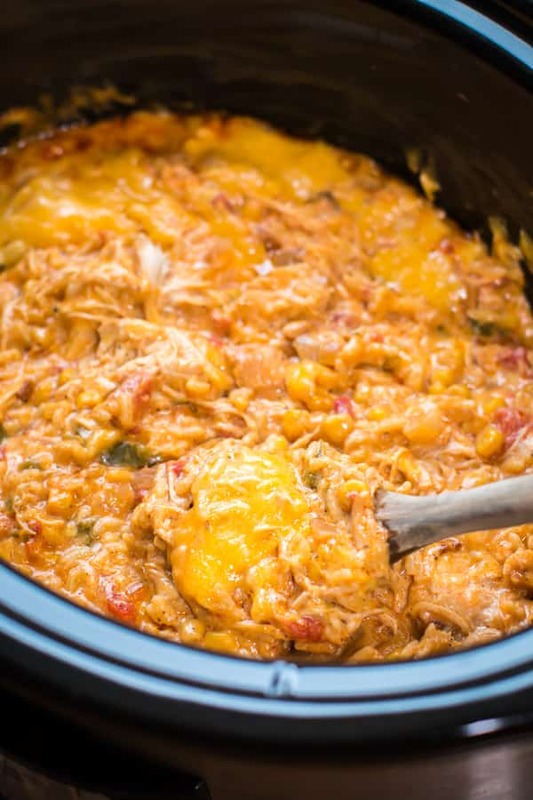 Slow Cooker Fiesta Chicken and Rice Casserole – This may be my most comforting recipe on this list. Creamy chicken and rice with cheese, YUM!